I've had this gray dress for two years now and it's going strong. LOVE it. It's extremely soft & comfortable. 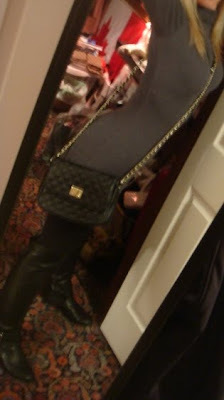 The necklace & purse are new additions to my wardrobe!